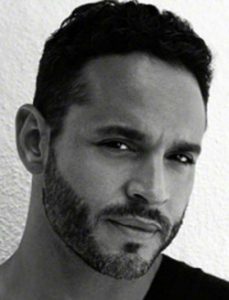 Daniel Sunjata is an American film, television and theater actor. He is most famous for his portrayal of Franco Rivera in the FX television series Rescue Me. In 2013 he played FBI agent “Paul Briggs” in USA Network’s series, Graceland. He was nominated for Broadway’s 2003 Tony Award as Best Actor for his role in the Broadway musical, Take Me Out. Born on December 30, 1971 in Evanston, Illinois, USA, he is the adopted son of Catherine, a civil rights worker, and Bill, a police dispatcher. He was educated at Mount Carmel High School and attended the University of Louisiana at Lafayette and New York University’s Tisch School of the Arts. *He was born on December 30, 1971 in Evanston, Illinois, USA. *He is of African-American, Irish and German descent. *He attended the University of Louisiana at Lafayette and New York University’s Tisch School of the Arts. *People Magazine named his one of the top 50 Most Beautiful People in the World in 2003.